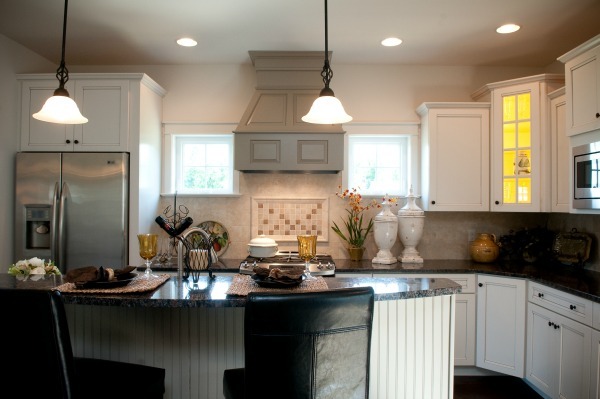 Have you been toying around with the idea of remodeling your kitchen and thinking that 2015 may be the year? How you plan to use your kitchen will greatly influence the design. Everything from more storage to a larger prep space for both you and your spouse, should be considered. Often homeowners are looking for “something different” in kitchen design, yet not so off-the-wall that the room becomes dated in just a few years. Here are five kitchen trends that can give your kitchen a fresh, not dated look for many years to come. Modern-Traditional Design. This sleek, yet comfortable design style continues to be on the rise, and manufacturers are responding as there is no shortage of products on the market. This style often mixes flat-panel doors (such as Shaker), stainless steel, marble countertops, glass-tile backsplashes and white subway tiles to give a kitchen a modern style that has charm. Touch-Me Surfaces. Kitchens are being designed with more and more interesting elements. Cool granite countertops, sleek cabinetry fixtures, warm tile backsplashes, texturized flooring and fascinating pendant lights all beg to be touched. Dimensional Cabinetry. Cabinetry comes in all shapes and sizes now to accommodate storage needs, and varying cabinetry height along the perimeter of the room can also create depth. Instead of the kitchen looking ho-hum, this effect makes the space look stunning and furnished. Deep dark with soft white. Kitchen designers across the country all agree that black and white is “in.” If you like this contrast, but you aren’t quite ready to commit to bold black, consider espresso-colored cabinetry. It will give you that modern-traditional look you want, without it being as harsh as black. Lighting. Gone are the days of kitchen lighting being strictly for function. Today’s homeowner can integrate fun and personality into their kitchen lighting selections. Recessed ceiling lights come in a variety of shapes and sizes, pendant lights hung over the island become conversation pieces, and subtle cabinetry lighting can set the mood. Want more kitchen design ideas? See them all on our Houzz page. 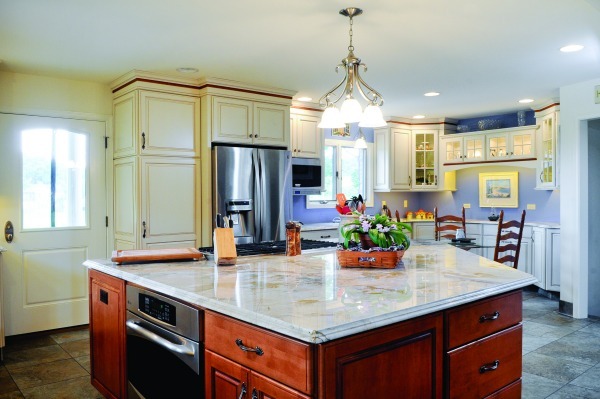 And if you are thinking about a kitchen renovation, contact us to set up a time to talk. No fee. No obligation. Just us sitting down together to hear about your plans and ideas. Posted in Design, New Construction, Renovations on April 8, 2015 by metzler.